Comedian and actor Jimmy Fallon rose to fame on Saturday Night Live now hosts a reputed show The Tonight Show Starring Jimmy Fallon. He is one of the most celebrated persons in Hollywood. He began his journey as a stand-up artist and joined his dream team at Saturday Night Live (SNL). 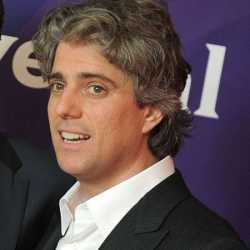 After working for several years at SNL, he left to pursue his individual career. 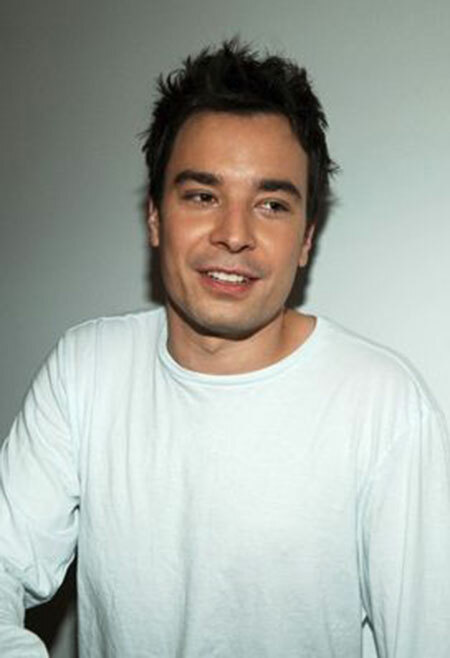 In 2009, Fallon became a presenter of late night show Late Night with Jimmy Fallon. 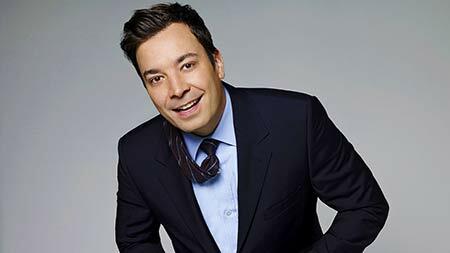 After four years, he changed the name and became the permanent host of his show The Tonight Starring with Jimmy Fallon. Jimmy Fallon was born on 19 September 1974, in Brooklyn, New York. He has already achieved everything he would have ever dreamed of and is renowned as one of the most successful TV host and actor. He is of American nationality and White-American ethnicity. He is also a producer and a writer and he has been able to capitalize on his talent to make a living out of it. 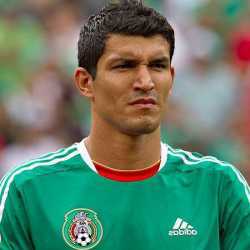 He was born in a place called Bay Ridge which lies in New York of the United States of America. In his childhood days, he was very hard working and talented. He started playing guitar at the age of 13 as it was one of his hobbies. He attended The College of Saint Rose in Albany to earn a computer science degree. He later dropped out from the college to pursue his comedy career in Los Angeles, California. After leaving college, he pursued fully time comedy career in Los Angeles. He often did stand-up at the Improv, earning $7.50 per set, and joined with the Groundlings, an improv comedy troupe. He worked two years of working with the Groundlings. In 1997, he auditioned for the Saturday Night Live but was unsuccessful. Fallon landed his second audition at the age of 23. During the producer and co-creator Lorne Michaels, Fallon won him over with his impression of Adam Sandler. Fallon became the cast for the 1998-99 season, which also featured Will Ferrell, Tracy Morgan, and Molly Shannon. After sometimes, Fallon became known for his impressions. He took on such famous names as Robert De Niro, John Lennon, Mick Jagger, and Chris Rock. As for original characters, he brought to life a diverse mix of personalities. He also co-hosted the show’s recurring news sketch Weekend Update with Tina Fey. The duo proved to be a popular pairing with the show’s fans. 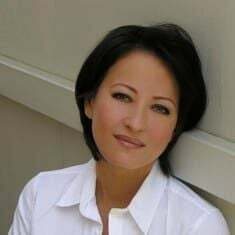 In 2001, she co-hosted the MTV Movie Awards with Kristen Dunst and hosted the MTV Music Awards in 2002. In 2004, he announced that he was leaving the SNL. Fallon then worked in feature films. She teamed up with Queen Latifah for the crime comedy Taxi, which proved to be a commercial and critical dud. In 2006, he appeared in a Factory Girl featuring Guy Pearce as artist Andy Warhol and Sienna Miller as his muse Edie Sedgwick. He played promoter Chuck Wein. In 2008, NBC announced that young comedian Jimmy Fallon would be taking over Conan O’Brien’s late-night talk show next year. NBC aired the first episode of his new show Late Night with Jimmy Fallon in March 2009. His first ever guests were Robert De Niro and Justin Timberlake. He initially received mixed reviews, he eventually became a popular late-night host. His boyish charm and quirky spoofs and stunts won over audiences. He performed comedy segments, playing games and humorous videos. In April 2013, he announced that he would become the new host of The Tonight Show after former host Jay Leno’s contract expired. The show moved its tapings from Los Angeles to New York when he assumed his new position. In February 2014, he debuted his new show The Tonight Show Starring Jimmy Fallon which engaged 11.3 million viewers. On 15 September 2016, Fallon hosted Donald Trump on The Tonight Show during the United States Presidential election. Since then, he is hosting the show at NBC news. He invites celebrity and famous personalities on his show. In mid-2017, the Grammy nominee Katy Perry appeared on Jimmy Fallon’s ‘tonight show’. The Former Fifth Harmony star Camila Cabello also performed Summer Songs on Jimmy Fallon's "Tonight Show" on June 21st. After that, he started working to make his career success and started as a standup comedian. He worked at a club called Bananas Comedy Club as an actor and his work was pretty impressive over there. He then took some important improvement classes with The Groundings which helped him a lot in his career. He has been a great TV personality as well His work in The Tonight Show is simply mind-blowing. The show Fallon is most famous for is a show called Late Night with Jimmy Fallon which was a venture of the mighty channel called NBC. His show had an amazing rating and this made the show world popular. He has been a part of several movies as well and some of them are Fever Pitch, Whip It, Almost Famous, Factory Girl and Doogal. 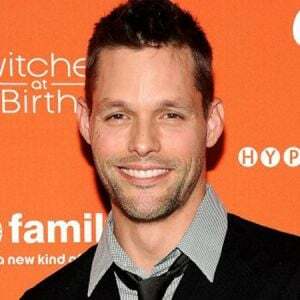 The TV series he has appeared in are Spin City, 30 Rock, Band of Brothers and Saturday Night Live. 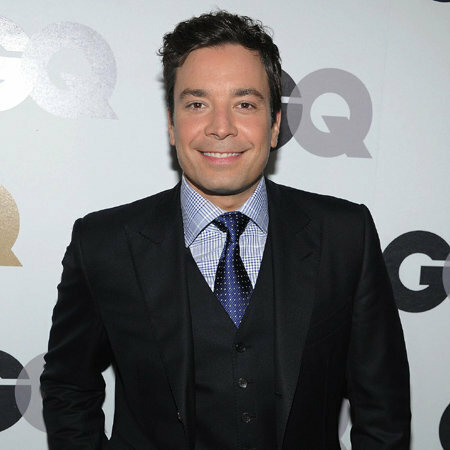 Jimmy Fallon is one of the popular late night hosts in the World. His net worth is $60 million as March 2019 according to the Celebrity Net Worth. But, as per the Richest, his net worth is $25 million only. He is one of the highest paid TV hosts with a staggering amount of $16 million annual salaries from his career. Previously, he was $11 million annual salary but after began The Tonight Show Starring Jimmy Fallon. Fallon released the albums The Bathroom Wall in 2002 and Blow Your Pants Off in 2012 which reached #1 on the US Comedy chart and won a Grammy Award for Best Comedy Album. He has also authored the books I Hate This Place: The Pessimist's Guide to Life, Snowball Fight!, Thank You Notes, Thank You Notes 2, Your Baby's First Word Will Be DADA, and Everything Is Mama. He lives in a lavish home in Sagaponack, New York. He bought this home back in 2011 for $5.7 million. The house features a 3500 squares foot consisting of 6 bedrooms and 5.5 bathrooms, a pool, a barn, and a four-car garage. He also has a $1.3 million property in Manhattan with his friend. He also owns several lavishes cars; Mercedes Benz, Porsche, and Fords. He is hugely popular in social networking sites like Twitter, Facebook, and Instagram. He has a jaw-dropping number of followers on Twitter and the number is 50.3 million as of August 2018. This proves his stardom in the social networking site. He is very much involved with the site as well as he is popular on Twitter. He has been very successful in his career and his income proves that. Jimmy Fallon is a married man. 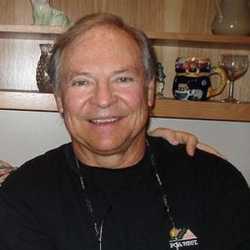 He is married to Nancy Junoven since December 2007. The couple dated several years and decided to get married. His relationship is going very strong and it is because it is built on mutual understanding and trust. 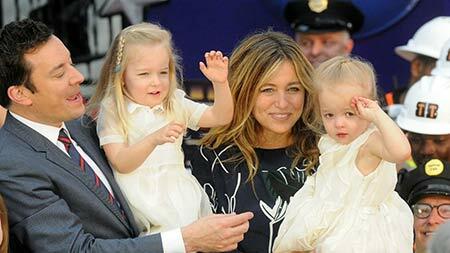 The couple shares two children (daughters); Winnie Rose Fallon and Frances Cole Fallon. In 2013, he welcomed his first daughter Winnie Rosie Fallon and second daughter Frances Cole Fallon in 2014. His wife, Nancy Junoven, is a film producer and entrepreneur. She is the co-owner of the production company Flower Films along with Drew Barrymore. Their company has produced numerous films for a long time. They founded the company in 1995. In June 2015, Fallon suffered a ring avulsion injury. He then went to the emergency room and then sent to a surgeon who performed microsurgery on his finger. He spent 10 days in the ICU before going home. He later thanked doctors and nurses who helped him to recover from his injury. In 2015, he appeared in public without his finger bandaged for the first time at the 67th Emmy Awards. In November 2017, his mother Gloria Fallon died from undisclosed causes at the age of 68 at NYU Langone Medical Center in Manhattan, New York. He also canceled a few episodes of his show. Height: He stands at a height of 6.0 feet (1.83 m). Weight: He Weighs 160 pounds. As of 2019, Fallon's age is 44 years.